It is possible to find solutions for small spaces and to make them work for you and your needs without breaking the bank. Customizing an item so that it meets your needs is important; it can help to give the storage options, which you need and in a way that meets with your budget too. 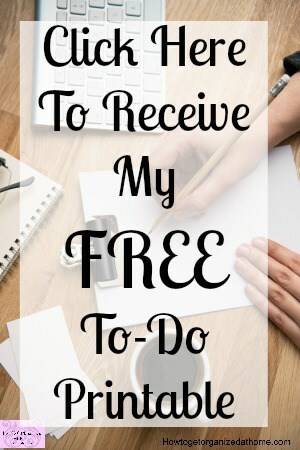 If you are looking to find options to help reduce what appears are a lot of items, creating a home for the items can make tidying and organizing so much easier to complete. 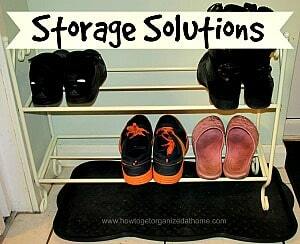 A simple shoe rack next to the door can provide a place to store shoes. Without this they can quickly spread, causing hazards and creating a cluttered look. A shoe rack is personal it has to meet your needs. They come in a variety of different shapes from a metal rack to an elaborate cupboard. Finding a solution that works for you and the space you have is important, you might be able to repurpose an old bookcase or even an old cupboard; it is about finding a solution that works for you and fits in with your style. It is possible to change the look of an item; the current trend is painting an item so that it fits in better with your design. Finding the right solution for a space is easier than you think, but knowing what you want the space for, helps to understand the storage you need. Is it possible to repurpose items that you have, to create the storage solution? Alternatively, you can keep a look out for the ideal item on a sales page. These depend on your location but you can normally find something of reasonable quality that you can repurpose to meet your requirements. It is not about sticking baskets and tubs all over your home, this can make any space look cluttered but it about assigning a home to the items you own and use. This will ensure, when you bring more items into your home, if you don’t have space, you must question if you really need it. Alternatively, if you need to consider removing something you already own. Whether it is for sale, charity or trash is a decision only you can make. Organization is an important step to knowing what items you need to find a home for. Creating spaces for items that you no longer need or use is not the best use for any space. It is important to create the right spaces in the right places to ensure the best use of any space, even the tiniest of spaces. Keeping toys tidy is a nightmare, and looking for all the bits to an item because they are together, is time-consuming. Children tend to have their favourite items and anything else can seem to go unloved. Creating space for toys is a battle that continues to grow as your children grow and develop. What might suit a baby is not going to meet the demanding needs of a toddler. When my children were younger, I opted for a toy rotation system, after a couple of weeks I would swap toys round. Those that I took out of circulation for about two or three weeks before swapping again, this way it ensured all toys got used and it was like a new set of toys. It also kept the amount of toys they had out at one time down to a minimum. Therefore, whilst it might seem imperative to create storage in every space, often this can make a room look over crowded, it is better to reduce the amount you have, organize, and contain it so it doesn’t become overwhelming, making you feel that you have lost control of the space inside your home.